The last of the Bannonites. Donald Trump has called on Congress to grant DACA recipients some form of protection from deportation. 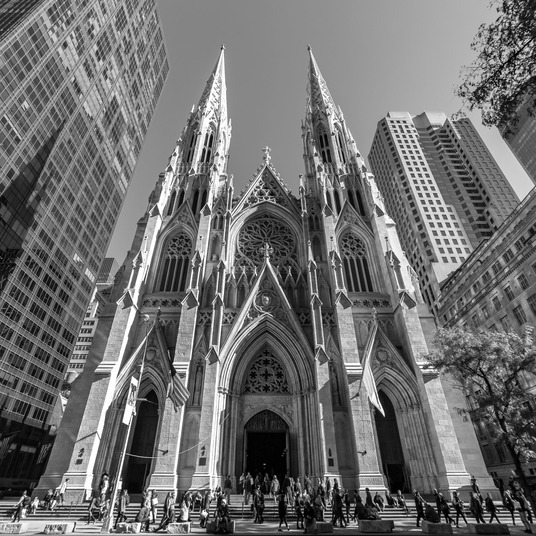 And he has suggested that if Congress fails to give such protection to these law-abiding, gainfully employed undocumented immigrants — who were brought to the United States as children — then he might protect them, himself, through executive action. All of which is to say: Trump has given congressional Democrats every indication that he does not see legal status for Dreamers as a painful concession to his enemies, but rather, as a good in and of itself. And yet, his White House is now suggesting that it will block any bill that grants legal status to DACA recipients if said bill does not also cut legal immigration in half; give state and local law enforcement the power to enforce immigration laws; expand criminal penalties for entering the U.S. illegally; and allocate billions of dollars in funding for border security, detention beds, and immigration judges. Given that there is little buy-in for halving legal immigration among congressional Republicans — let alone among Democrats — it is difficult to see what President Trump hopes to accomplish with this litany of Draconian demands. … Miller was upset after Trump’s dinner last month with Schumer and Pelosi and has been working since to bring the president back to the tougher stance he took during his campaign … Unless they change dramatically from their current form, the immigration principles could short-circuit congressional negotiations aimed at finding a fix to DACA, or the Deferred Action for Childhood Arrivals program — the Obama-era initiative that grants work permits to undocumented immigrants who arrived in the United States as minors. 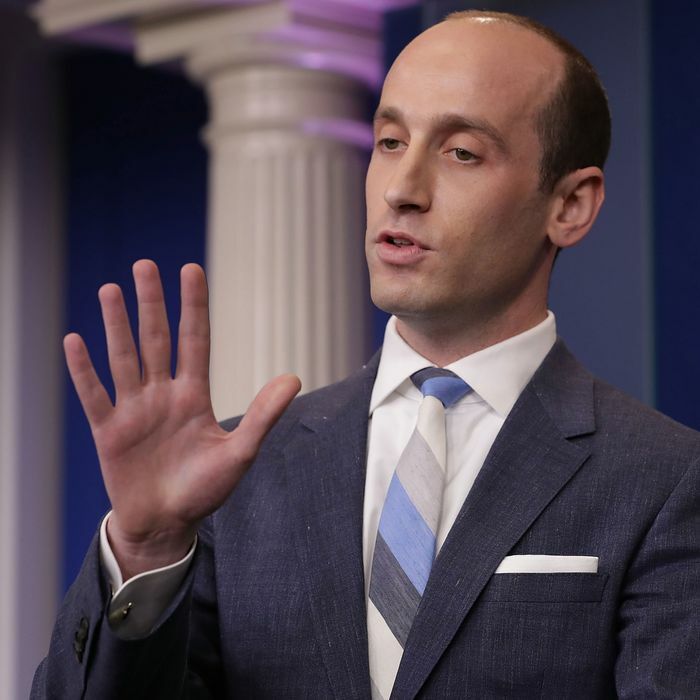 Ostensibly, Miller has convinced — or, is in the process of trying to convince — Trump that his base will recoil at any DACA deal that doesn’t simultaneously revolutionize the American immigration system. But there’s no reason to believe that this is true — and Trump probably has enough “rootless cosmopolitans” in his orbit to set him straight on the matter. A Morning Consult poll last month found that 69 percent of Republicans — and two-thirds of Trump voters — want Dreamers who meet DACA’s requirements to be given either citizenship or legal status. 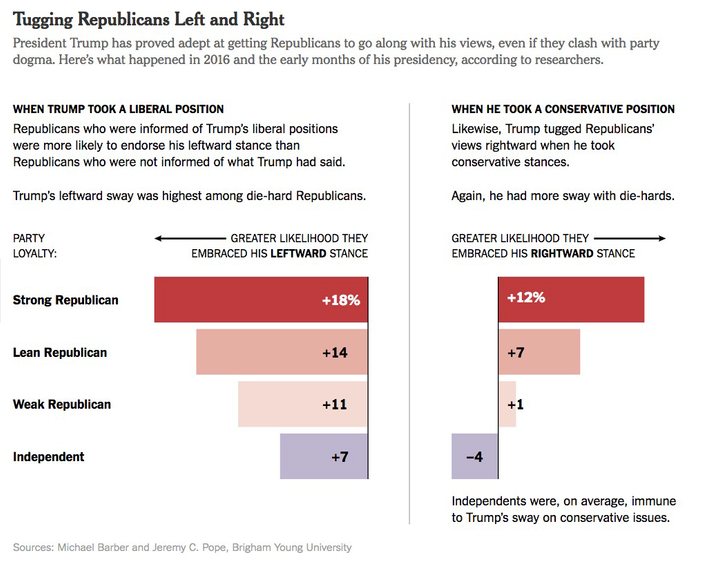 And even if the president’s base did object to the policy at present, there’s good reason to think he could bring them along by endorsing it: Research from YouGov has shown that the more strongly voters identify with the Republican Party, the more likely they are to follow Trump leftward. The right’s most highly engaged, anti-immigration activists will sweat the details of Trump’s policies. But there’s no evidence that the nationalist right’s rank and file are so detail-oriented. During the general-election campaign, Trump occasionally zigzagged on the finer points of his immigration platform without ever losing significant Republican support. At present, the Trumpen proletariat appears far more invested in his feud with Colin Kaepernick, than in blocking a deal that gives a small subset of undocumented immigrants second-class citizenship. Considering that Trump has no genuine political need to back away from DACA — and that he has indicated, multiple times, that he wants to preserve the policy — it’s hard to imagine that he’ll insist on a set of principles that would guarantee him yet another legislative failure. Maybe Stephen Miller is such a skilled Svengali, he can make Breitbart’s wish into Trump’s command.